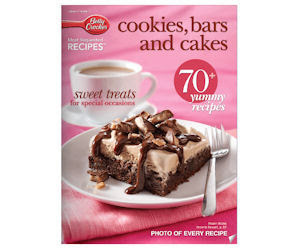 You can get a FREE copy of Betty Crocker Cookies, Bars & Cakes Recipe Book. The book is filled with over 70 delicious recipes. Go here to get your FREE downloaded copy.